Please email if you would like to be added to a reserve list. It’s that time again, time for the biennial Fareham Wine Cellar Portfolio Wine Tasting. This year we have plethora of wine (and spirit) people, old faces, and new, who will all be bringing their fine wares for your delectation. All of our key suppliers will be in attendance and there will be well over 150 different wines and spirits to try. Please do check back, I will be updating the informaton below as more wines are finalised. Tickets £15.00 per person – in advance and over 18 years old only please! Tickets are available at Fareham Wine Cellar, over the telephone on 01329 822733 and online at the following link. If you have never attended one of our portfolio wine tastings before, basically, on arrival, you will be given a tasting glass and you are then free to wander around the different tables, chat to suppliers and try wines and spirits to your heart’s content. The tasting is open for five and a half hours. You do not need to attend for the entire time, or taste every single thing (that is not a challenge! ), but we do recommend that you have a plan of attack if there are certain things that you want to try and please set aside at least a couple of hours to do the tasting justice. In due course I will produce a tasting booklet for download which can be downloaded and printed out. In the meantime, please find a current list of all the exhibitors so far below. Very kindly, Chef Clive Wright at Lysses House Hotel has prepared a special menu for attendees of the tasting for anyone who would like to have a meal in their restaurant. You will find details of this below. Awin, Barrett and Siegel – Andrea Bulcock will be showing wines from our old favourite, Simon Hackett, The Hedonist Wines (Walter Clappis), Jordan Wines Stellebosch and much more. 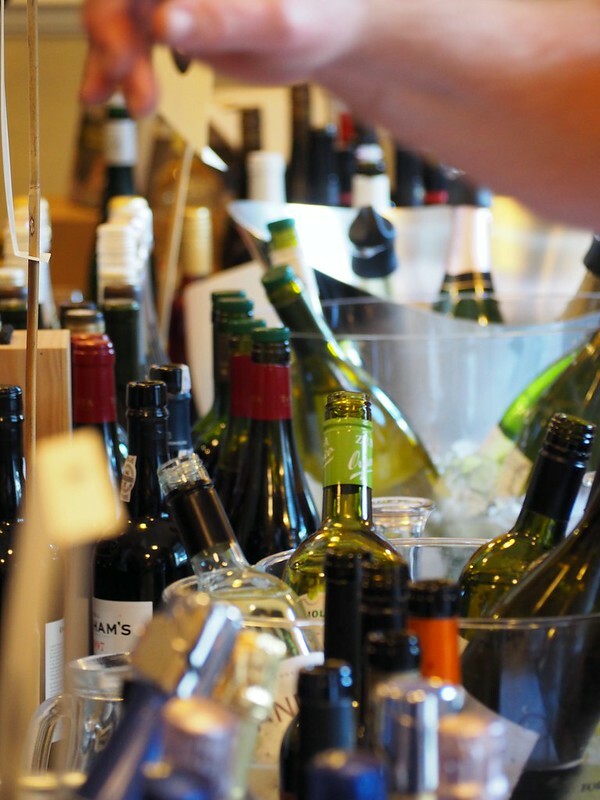 Berkmann Wine Cellar – Laurent Bergmann will be showing wines from Lapostolle Chile, a selection of Italian wines, rums and Marconi 46 and Hedgehog Gins. Bodegas Calar – Grandson of founder Juan José Moreno, Manuel Rivas Moreno, will be showing a new range of first rate Spanish, Tempranillo based wines from Granatula de Calatrava in the Spanish province of Ciudad Real. Look out for the Calar and the Abrego. Burridges of Arlington Street – Edward Burridge and Teresa Burridge will be in attendance with Pedro Urbina from Bodegas Urbina showing Pedro’s Riojas and Spanish wines from other producers. Cellar Trends – Cellar Trends are a specialist spirits company and we will be showing a range of Rums, including Pusser’s, Botran, Bumbu and Bayou Select. Ian Robinson will also be showing some Scotch Whiskies from Spey Distillery and Beinn Dubh, American whiskies, Stolichnaya Vodka, Italicus and Tequila. Chateau Lestage – Owner Caroline Philippon will be showing some of her delightful Bordeaux wines from Chateau Lestage in Listrac and Chateau Caroline in Moulis. She will also be showing wines from her brother’s estate, Chateau Fonreaud, also located in Listrac en Medoc. Domaine Jones – Owner and winemaker Katie Jones, who I am sure needs no introduction, will be bringing some excellent new wines and vintages. EA Vinos – Export Manager Jordi Portillo will be presenting some excellent wines made in central Spain by Manuel Manzaneque Suarez including the ¡Ea! Vinos and the superb Fatum wines. Hambledon Vineyard – The team from Hambledon Vineyard will be showing all of their fantastic Hampshire Sparkling wines including the Classic Cuvee, Rose and Premiere Cuvee. Hatch Mansfield – Hatch are the UK agents for such fantastic wineries as Robert Oatley Vineyards and Hancock and Hancock in Australia. James Wilson will in attendance to tell you all about them as well as showing wines from Louis Jadot, Champagne Taittinger, Caliterra and Kleine Zalze. Jean Baptiste Audy – Nadège Sabras represents Bordeaux negociant and Chateau owner J B Audy in the UK. She will be showing a range of their delicious Clarets. John E Fells – Fells are UK agents for all sorts of interesting wineries. Matthew Nutt will be presenting wines from wine producers including Champagne Henriot, Torres Spain, Torres Chile, Wente Vineyards, Tedeschi, La Crema, Smith Woodhouse, Blandy’s Madeira and Pellegrino Marsala. Louis Latour – Guy Nightingale will be showing wines, not just from the esteemed Burgundy house Louis Latour, but also wine from Champagne Gosset, Wakefield Wines, Seresin Estate in New Zealand and Cognac Frapin. Maison Marques et Domaines – Adam Baggott will be showing wines including Meerlust from South Africa, Burgundy from Domaine Faiveley amongst others. I am sure we can persuade him to bring some Champagne Louis Roederer and Port from Ramos Pinto too. Marussia Beverages – Helen Wainwright will be showing a wide range of spirits including artisan Gin, Cognac, Armagnac, Liqueurs and perhaps some Sake. Moet Hennessy – Moet Hennessy’s portfolio includes wines from Cloudy Bay, Terrazas de los Andes, Champagne Ruinart, Glenmorangie and Ardbeg Whisky. Hopefully we will get the first peek at the 2018 Cloudy Bay Sauvignon Blanc if it arrives in time. Sirlene Torres and Paul Tucker will be exhibiting. Raimes English Sparkling Wines – August Raimes will be showing her delightful Hampshire Sparkling wines made from grapes grown on The Tichborne Estate near Arlesford. Look out for the richer Blanc de Noirs and their new Classic Cuvée Brut. If you want to get a feel for what the event will be like, you’ll find some pictures of our 2016 tasting below.